Ever admire a charming vignette in someone's home and wish you could arrange one without it looking like a hodgepodge of stuff? Here’s how to do it! Well-designed vignettes are no accident. They reflect your personality and style but can look cluttered or disorganized. But if you follow these simple steps, you can create a vignette for a hallway table, console table, coffee table, or any flat surface that guests will stop and admire. 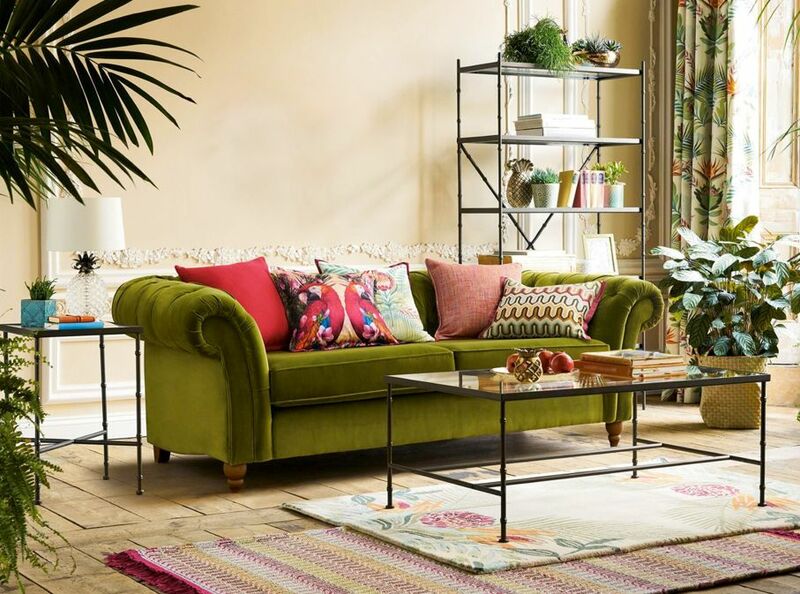 Dress up any flat and otherwise dull surface with a stylish vignette. 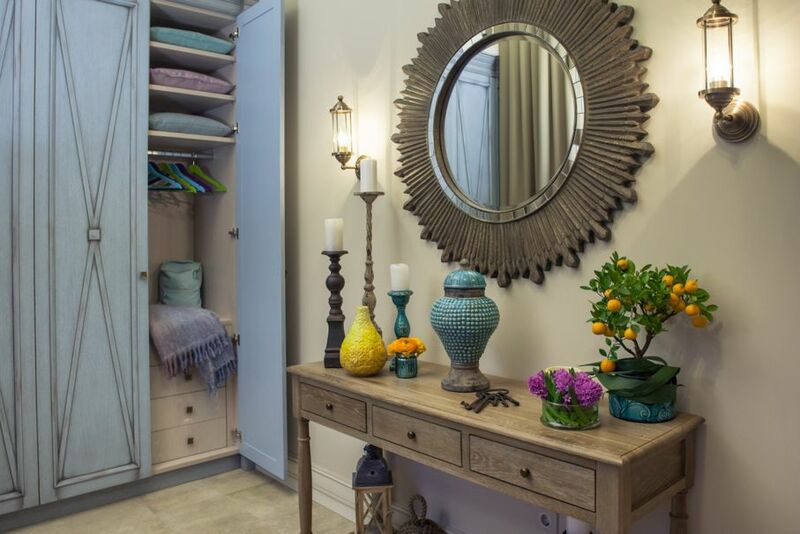 A hallway table can go from a catch-all for mail and keys to an eye-popping vignette. Other surfaces like a dining room buffet, shelf, coffee table, or even bookshelves are ideal places to showcase your personality and add interest to the room. If you choose a surface that meets the wall, the backdrop will become the anchor of the vignette. It could be a simple mirror, cherished painting or gallery of smaller prints. For a free-standing surface like a coffee table, the anchor should be the tallest and most substantial piece in the grouping. A tall lamp with a sturdy base, a vase of flowers or a tall and chunky candle are good choices. The anchor in both settings is meant to draw your eyes in and invite them to gaze at the collection. Decide if you want a symmetrical or an asymmetrical vignette. Symmetrical will have a defined balance of height, weight, same color on either side. For example, two lamps, or two candlesticks placed on either side. They don’t have to be identical, but they should at least have the same height and weight. Asymmetrical will feature one side being taller, heavier or a bold color that adds pop. 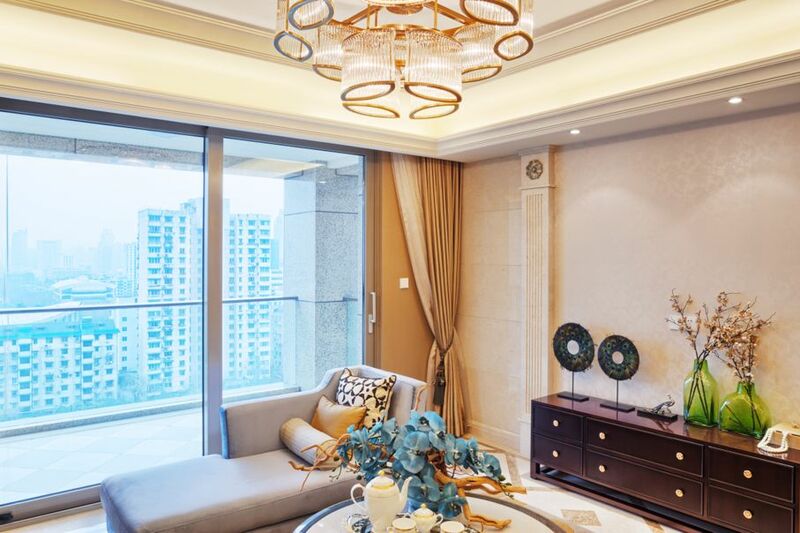 Seen above is an example of a symmetrical living room. And here’s an example of an asymmetrical bedroom. This is where the fun begins! An uneven assortment of small items looks most pleasing to the eye. Groupings of three are ideal. 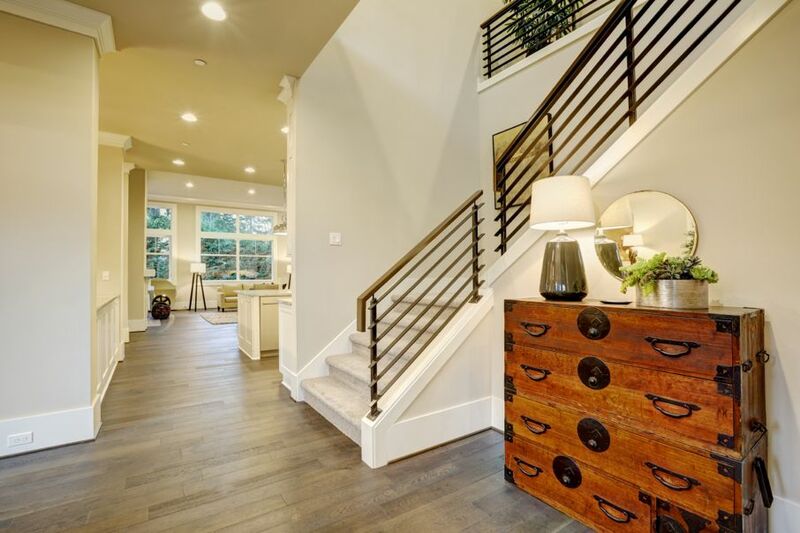 Look around your home and in your storage areas for items you love. Choose different heights, textures, and sizes. Remember, layering tall and short creates warmth and depth. Old, hardcover books with attractive spines are great to stack and place knick-knacks on. Round out the arrangement with flowers or tiny sculptures. Natural elements like branches, rocks, flowers or potted plants provide texture and an organic feel. Mementos from a special trip or favorite vintage find will beckon interest and questions from guests. Or if your home leans towards a specific design, like art deco, simply choose elements that embody that style. 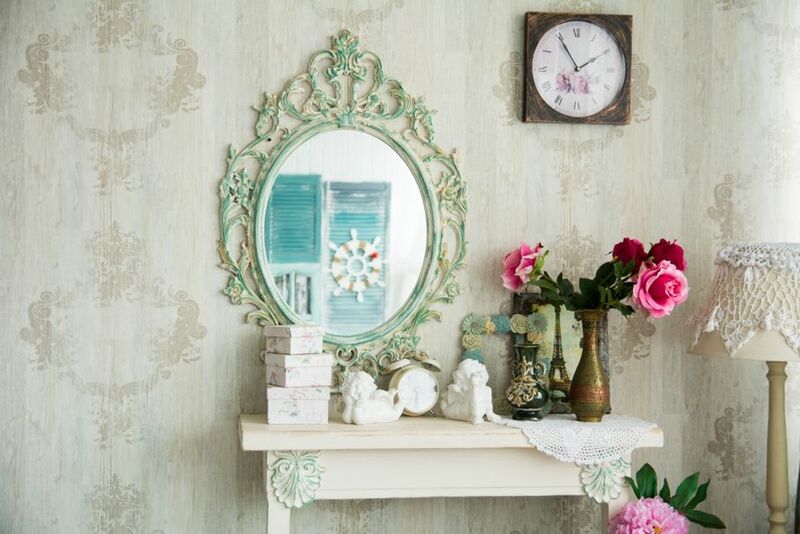 What’s marvelous about vignettes is that you can change them up when the mood strikes. 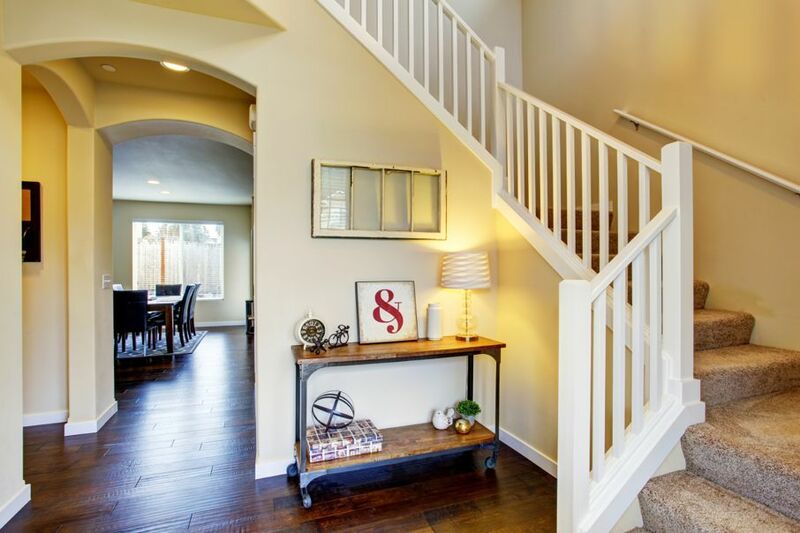 “Shop” in your own home for items to change the landscape of your vignette. Need inspiration? Use the changes in the season, like pastel colors and tulips for spring. For winter, add wintery white pottery bowls or pitchers and fill with evergreens and pinecones. A new-found hobby like playing the piano can be reflected in a vignette. Just switch out some items for a framed sheet music and a vintage metronome. This should be a fun exercise in artistic expression, but you may find yourself rearranging things several times and get frustrated. Remember, a vignette should reflect your personality and look uncomplicated and spontaneous. Stop fussing and step back after your first attempt. Give it a day for it to soak in and you’re more likely to be pleased with your efforts. Vignettes are a polished way to display a few of your favorite things and embrace your artistic side. 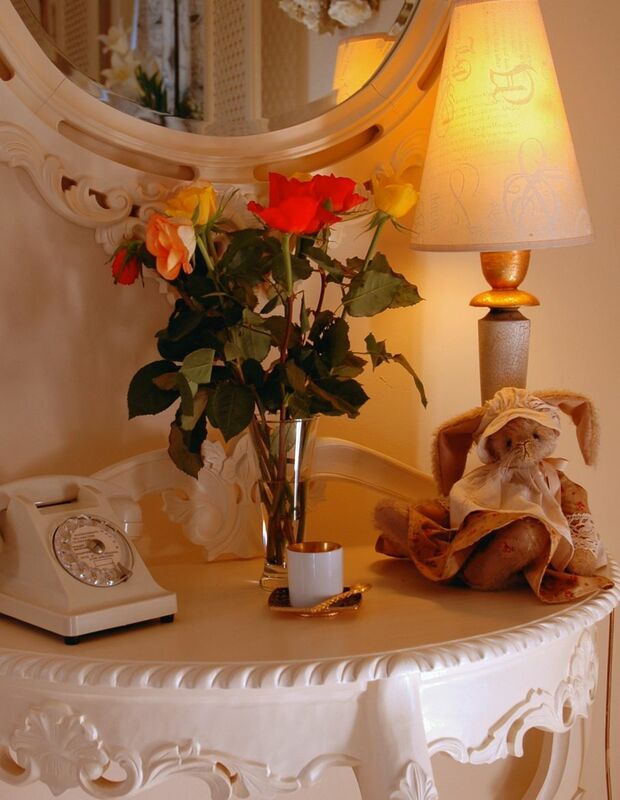 What’s wonderful about vignettes is they can be easily changed without much fuss, making them a frugal and fun way to decorate. Virtual reality room planners are also a fun way to decorate. If you're looking to experiment with different vignette interior design ideas, try out House Tipster's Virtual Rooms. Next: Trash to Treasure: Yard Sale Finds to Snag and Upcycle!